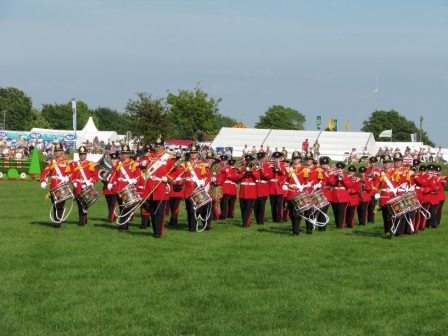 A traditional British Army marching display, duration from 10 minutes up to half an hour depending on your requirements. A marching band headed up by Corps of Drums and Bugles to lead your parade. 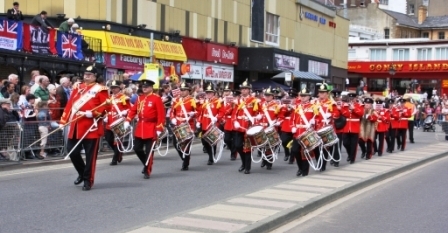 Typical events include: Remembrance / Veterans Parades, Exercising Freedom / Homecoming / Send-off Parades. 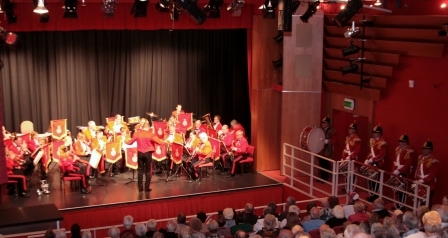 Concert band featuring the Fanfare Trumpets and Corps of Drums. 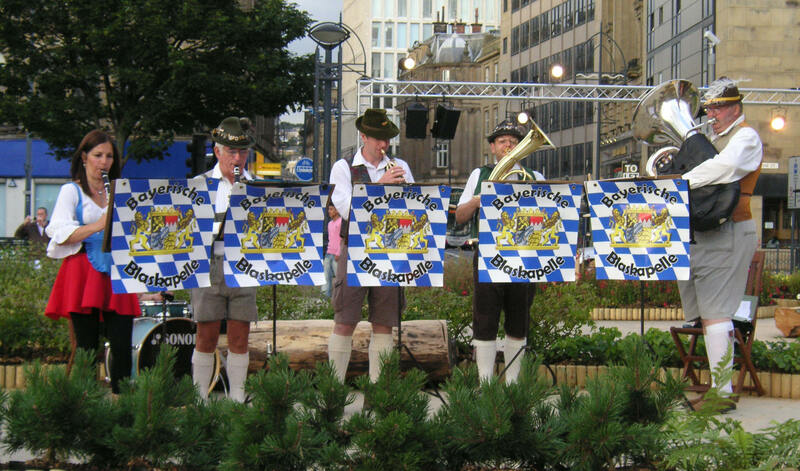 Concert programs can be tailored to specific themes (Films / WWI / WWII / Last Night of the Proms). Black Light Drum Display - adds that WOW factor to any concert or event. 1940s Battle Dress performances - ideal for re-enactments / 1940's / WWII events. 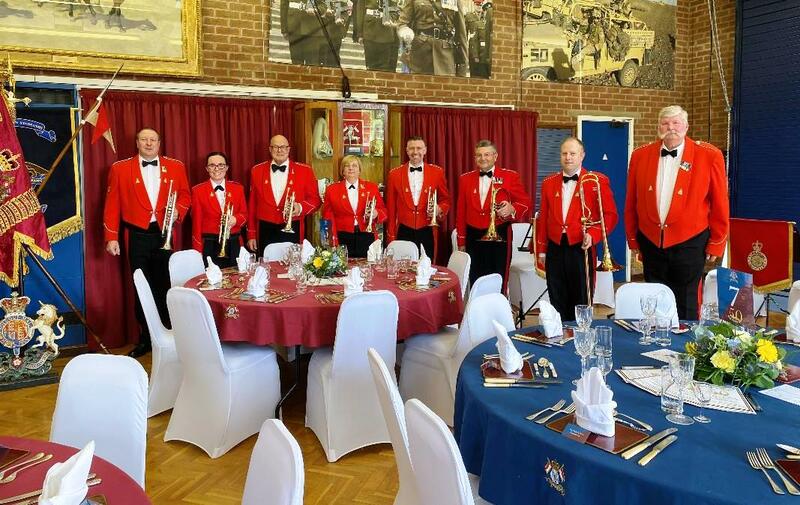 All of these performances can be undertaken separately or combined with any of the other ensembles to suit the needs of your event. Typical events include: weddings, fetes and shows, sporting events, VIP arrivals, awards ceremonies, military tattoos. 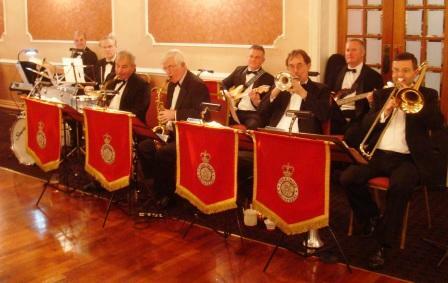 For smaller venues or more intimate surroundings the YV Brass perform a wide variety of music to suit any occasion. 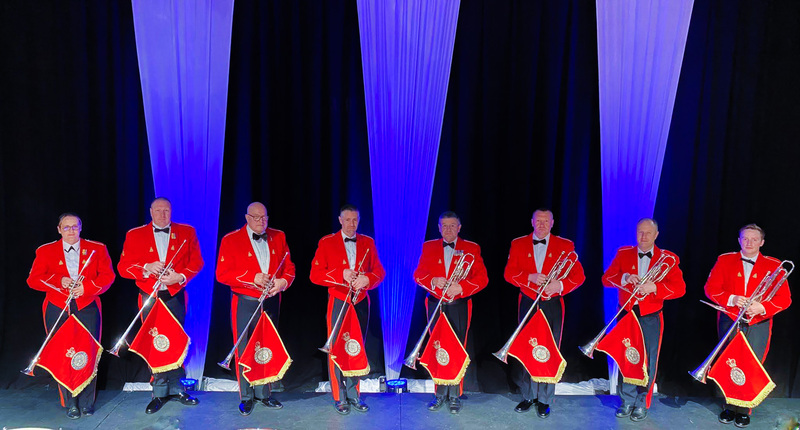 YV Brass can also provide a Fanfare Trumpet Team at the same event. 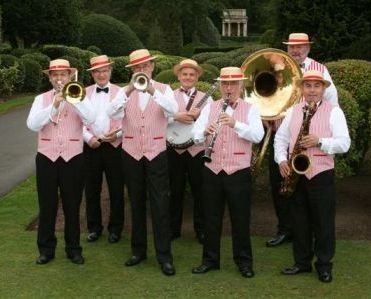 The YV Dixieland Jazz Band creates that special atmosphere at less formal functions. 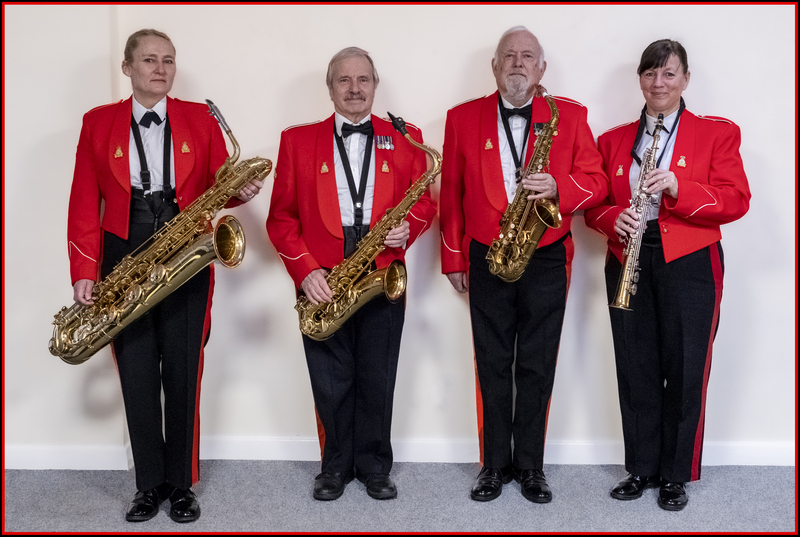 For smaller venues or more intimate surroundings the YV Saxophone Quartet perform a wide variety of music.